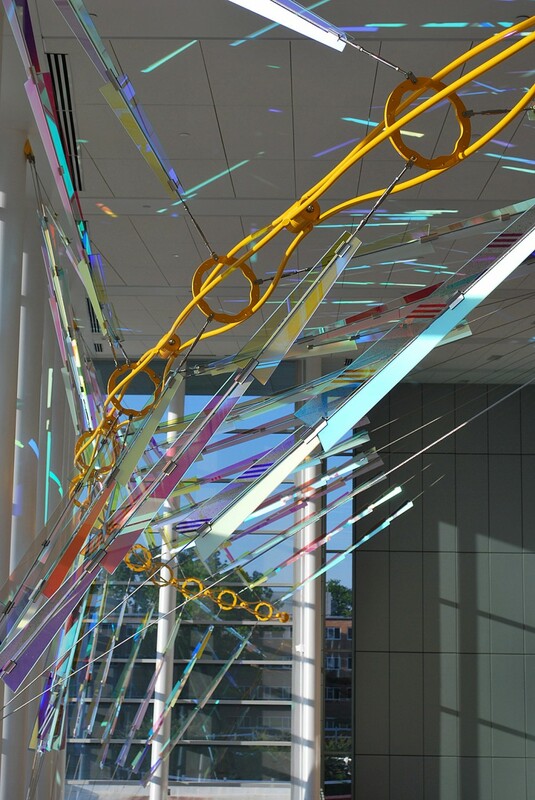 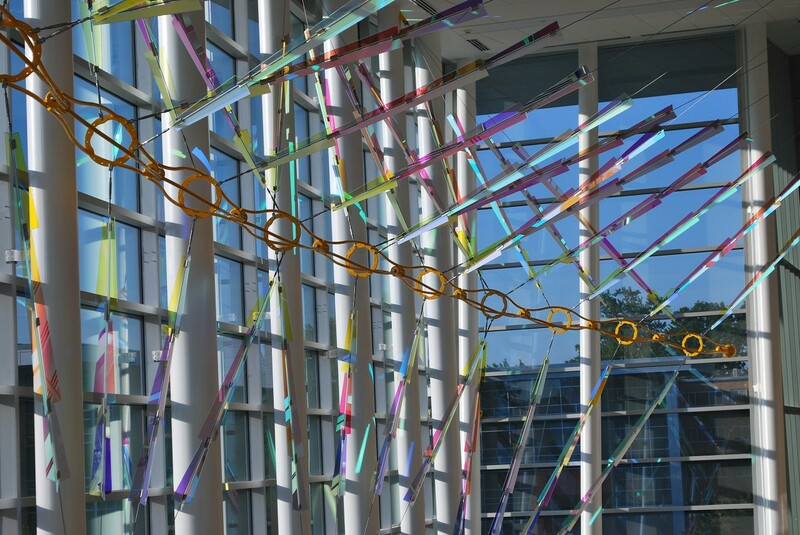 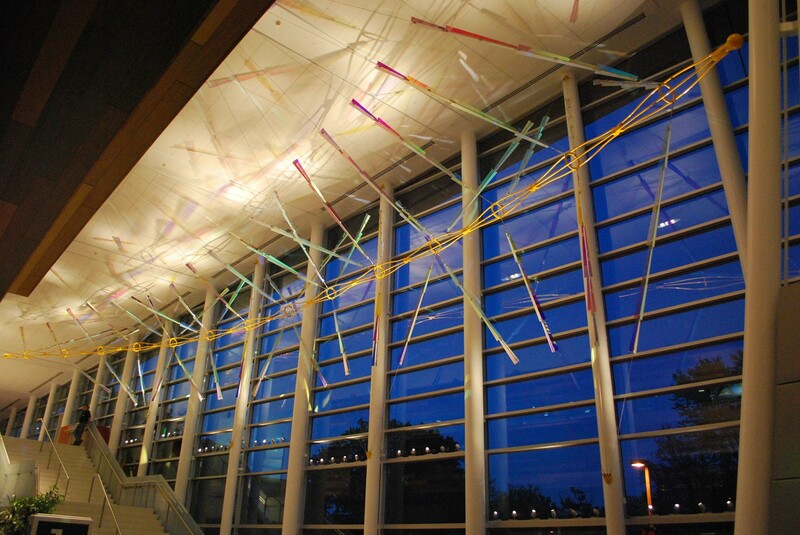 “Filament” sweeps through the Brody Hall atrium at Michigan State University like a brush stroke of light and color. 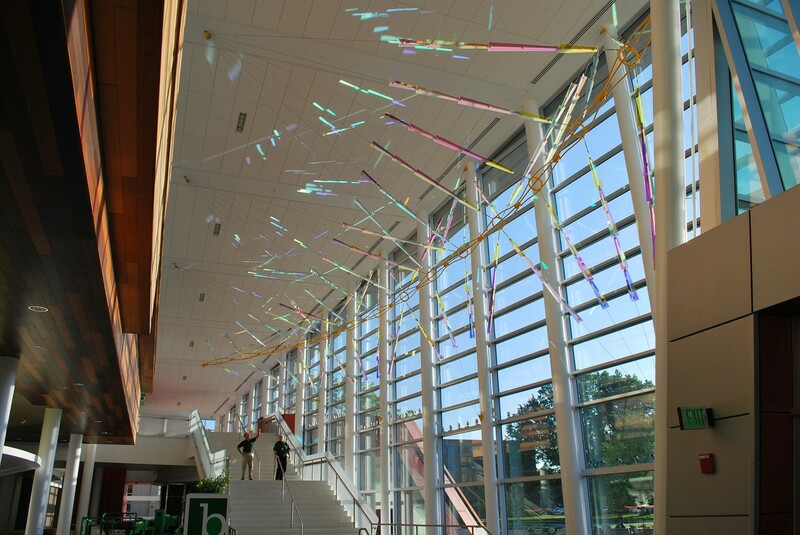 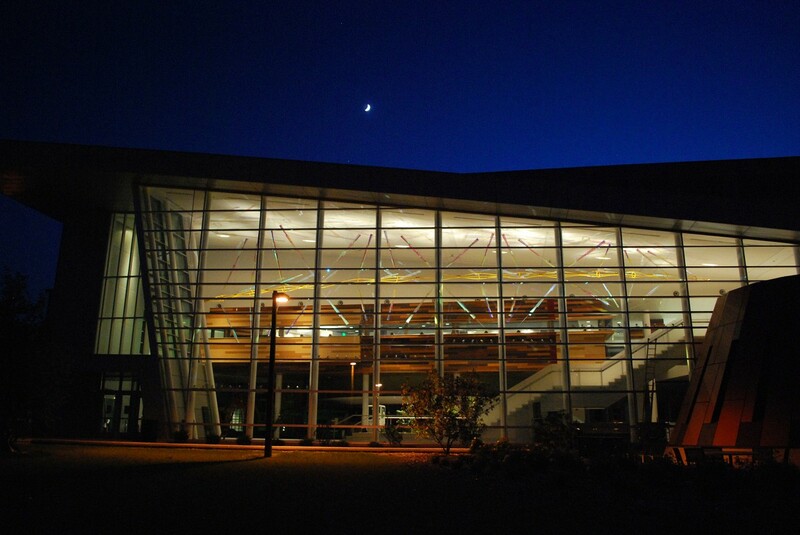 A delicate and crystalline gesture in space, it ascends above the stairway, visible from inside and out, night and day, as an invitation into the building and up the stairs to the student dining area. 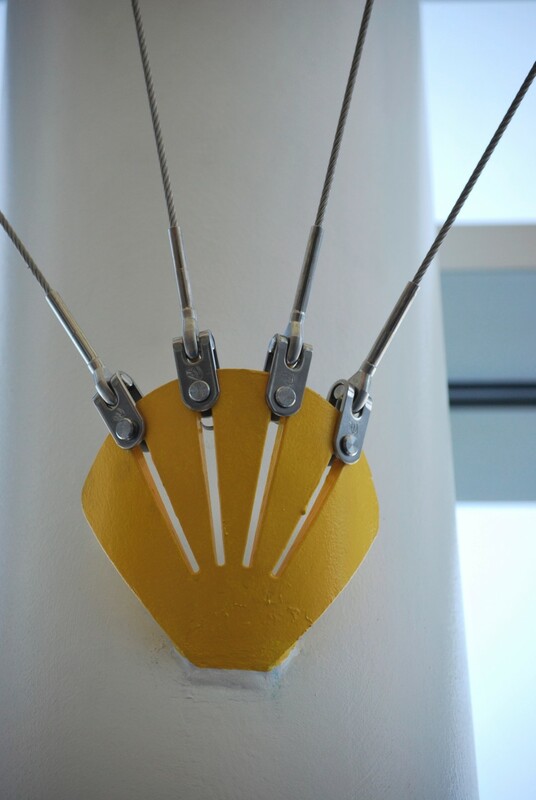 Its form suggests botanical references, and its title derives from the name for the stalk of the anther in the anatomy of a flower. 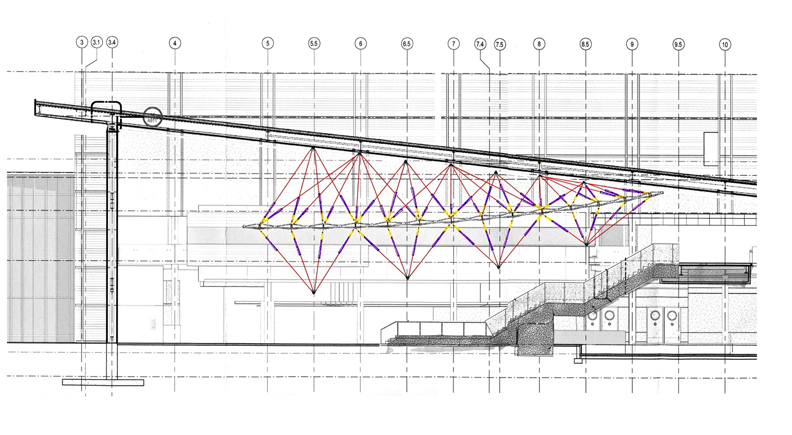 Tautly suspended from the main structural elements of the architecture, the sculpture is conceived to be both integrated and autonomous, born of the building but strong enough to thrive on its own. 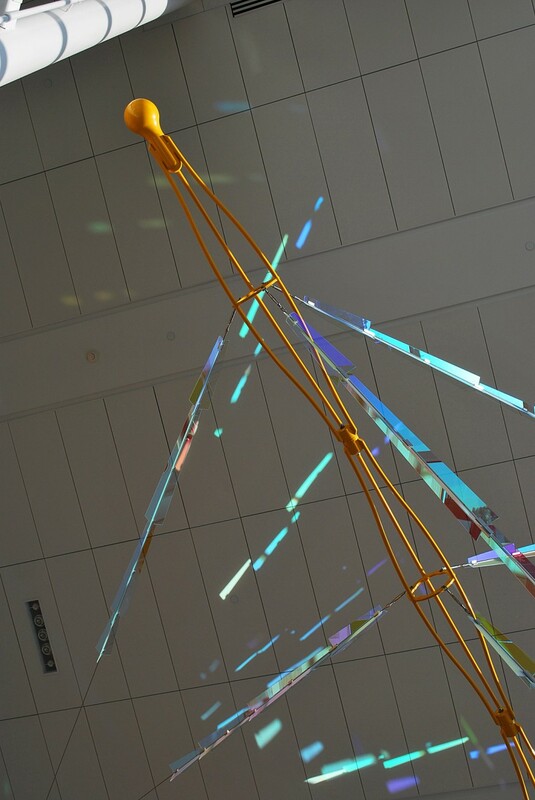 Morning sun penetrates the east facing curtain wall, striking the sculpture and imbuing the floor and ceiling with slowly moving projections of colored light. 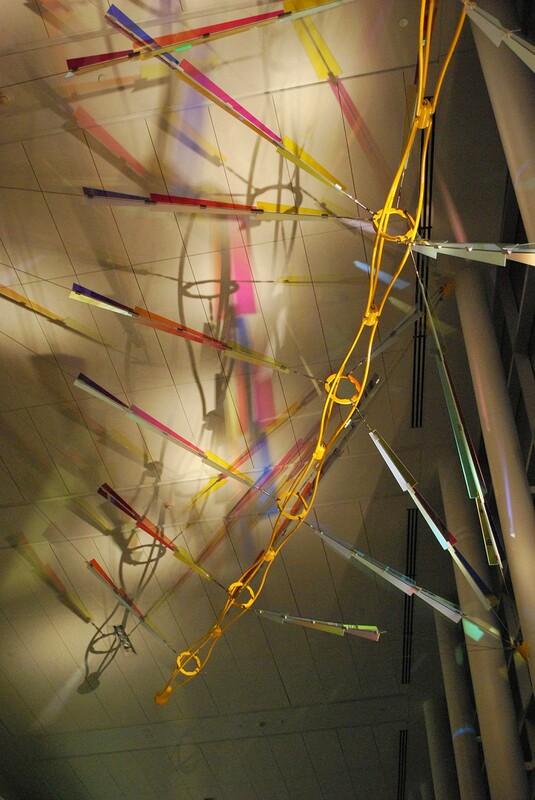 At night, carefully placed fixtures illuminate the length of the installation while splashing the ceiling with rich patterns of color and shadow. 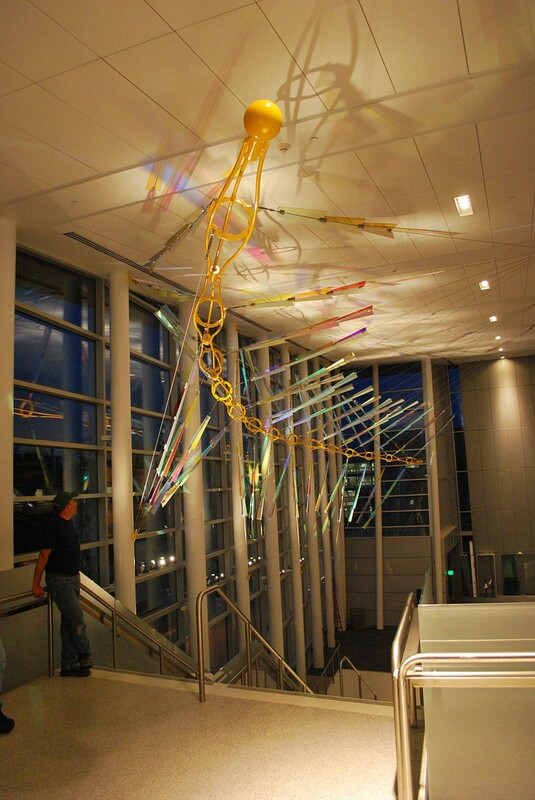 Materials: Powder coated aluminum, dichroic glass, and stainless steel cables and hardware.